Virginia Macari Beachwear Couture is all about luxury, well-designed swimwear and beachwear that can take you from the beach to bar. Elegance is a key component. “I’ve always wanted my own line and I’ve always loved the beach and swimwear,” she says. 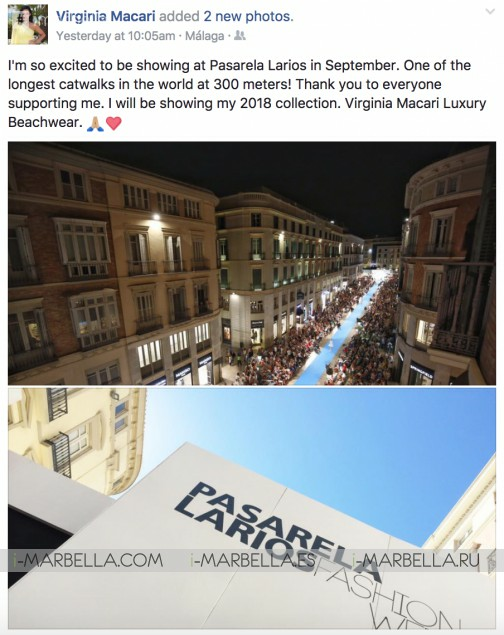 Virginia Macari expressed her excitement to be part of the upcoming Pasarela Larios Malaga Fashion Week 2017. The event is set to start in September 15th and 16th. Through her Facebook account, she let the world know how important it was for her to be part of the Pasarela and she will be unveiling her swimming suit collection 2018. Virginia Macari Swimwear is the ultimate luxury holiday lifestyle brand. Her exotic, glamorous and sensual designs are must-haves for the distinguished, global traveller and pool party lover. The Virginia Macari Beachwear Couture collection is swiftly becoming the optimisation of glamour and sophistication of a luxury lifestyle brand, and which top models and celebrities are quick to name the label as their must-have for every holiday and pool party. Virginia Macari dreams big "My plan is to succeed in worldwide." About Pasarela Larios Malaga Fashion Week 2017. Pasarela Larios Malaga Fashion Week with more than 300 metres in length, congregates more than 15,000 people every day. An event organised by Nueva Moda Producciones, it celebrates this year its VII edition on September 15 and 16, in the emblematic Marqués de Larios street. 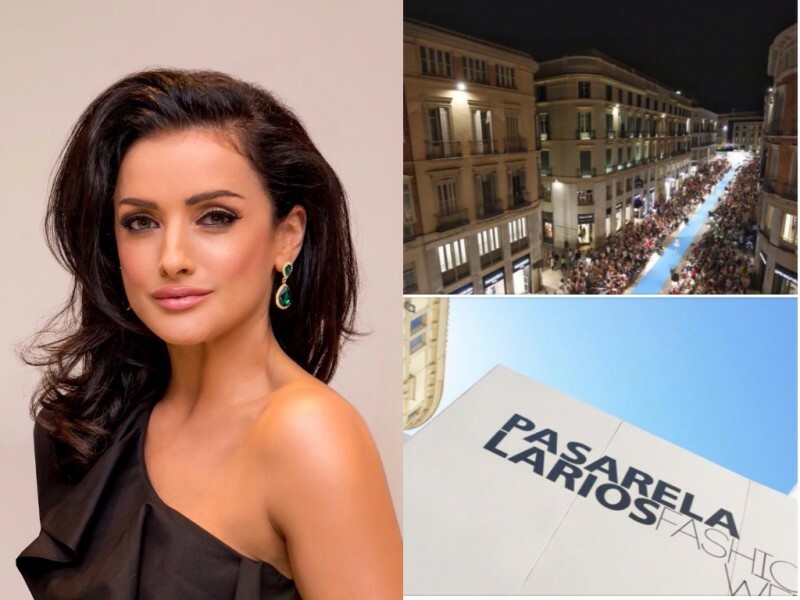 Pasarela Larios 2017 will once again turn Malaga into a point of reference for national and international fashion. And it has been positioned as a cultural and tourist event of the first level. An event that aims to support the local trade and economy, providing a space in which creators can show the latest trends and news of their collections directly and close to the public.